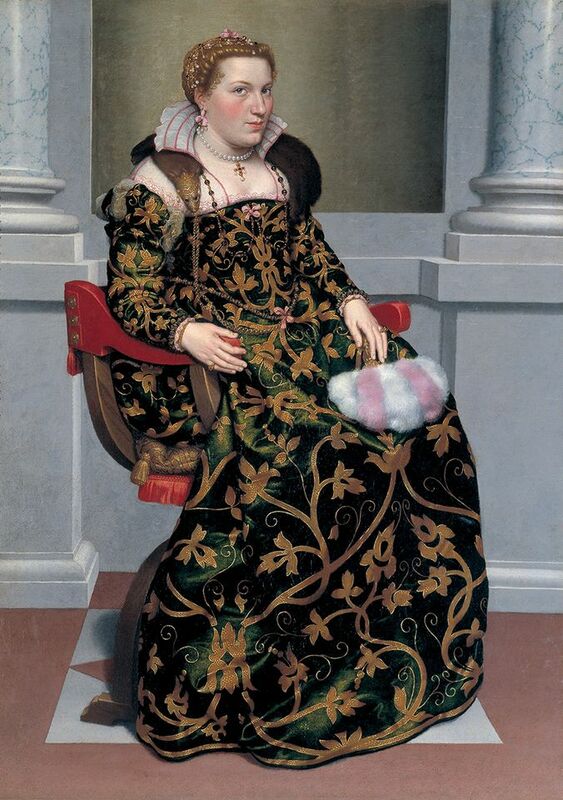 The Italian Renaissance artist Giovanni Battista Moroni has a history of being underappreciated. Critics once mocked his naturalistic warts-and-all approach to portraiture, suggesting that he was a copyist who fell short of an aesthetic ideal; the artist and art historian Vasari left him out of his biographical The Lives of the Artists, published when Moroni was just coming into his own around 1550. But an exhibition at the Frick Collection, Moroni: the Riches of Renaissance Portraiture (until 2 June) makes the case that the artist took a strikingly inventive approach to portraiture that even anticipates the life-like works for which Rembrandt would be acclaimed a century later. Highlights of the show range from The Tailor (around 1570), an arresting image in which the subject, scissors in hand, gazes frankly at the viewer, to Isotta Brembati (around 1555-56) a full-length portrait of a noblewoman that attests to Moroni’s powers of visual invention, including his likely manipulation of the pattern of her dress to draw the eye downward. Part of the reason that Moroni has been overlooked may be that he spent his career in and around his native Bergamo rather than in Florence or Venice; the Frick show’s rich assemblage of nearly two dozen paintings suggests that working outside the major artistic centres actually gave him a freer hand to experiment. The Bogota-based artist Johanna Calle is known for her muted, grid-like works on paper and wire-based structures that underscore the quiet, methodical, if not downright bureaucratic ways systemic abuses of power can infiltrate our daily lives. She often grapples with the rapid growth of developing countries like her native Colombia—and the lives that are affected by rapid political and economic shifts. These themes continue in The Absence (until 13 April), Calle’s first solo exhibition with Josée Bienvenu, in which she presents works spanning the last six years. In that time, the artist has scoured flea markets and antique shops looking for old photographs, newspapers, accounting ledgers, land registry books and other ephemera. Calle then collages, punctures, erases or otherwise subverts these materials, proving how easily histories can be reduced to a headline and people, an expendable line item. The Belgian artist Hans Op de Beeck’s hushed grey world—always modelled so realistically, but with a surreal twist—has infiltrated Marianne Boesky Gallery in the solo exhibition Staging Silence (3) (until 6 April). The exhibition takes its name from the new film presented alongside watercolours and sculptures, including a fantastical life-sized sculpture of a little girl sleeping in a bed in the artist’s typical grey palette, surrounded by a pond with water-lilies. Take the full 44 minutes to watch Staging Silence (3), a bizarre, surreal, whimsical black-and-white film, set to an original score by Scanner that adds to the dreamlike quality. It begins with a fluffy cat hopping off of a crumpled white duvet, which then morphs into mountains with the help of two human hands. Miniatures, from tiny trees to library shelves, are added and removed by these hands to stage scenes, from a tiny basketball court to a desolate, barren landscape. In one of the most charming moments, a backyard summer scene becomes winter as the hands pipe toothpaste along a swing-set—but we will not spoil the warm ending.